Collection 2000 have just launched their EXTREME mascara and it will be available in a range of colours from October. I’ve been testing out the purple shade, but it’s also available in blue and turquoise. 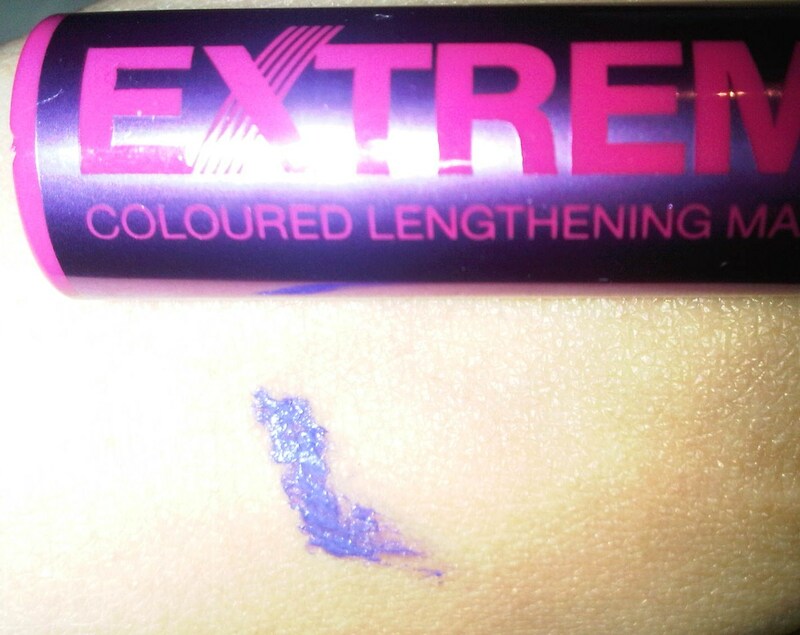 I’d normally stay away from cheap brands when it comes to my eyes as I’m a firm believer that you get what you pay for, but this £2.99 mascara has shaken my values up a bit. The brush is slightly rounded at the end, meaning it’s softer to use and you don’t poke yourself in the eye so easily! It also makes it easier to grab a section of lashes and pull them out with the wand, making them longer and more defined. 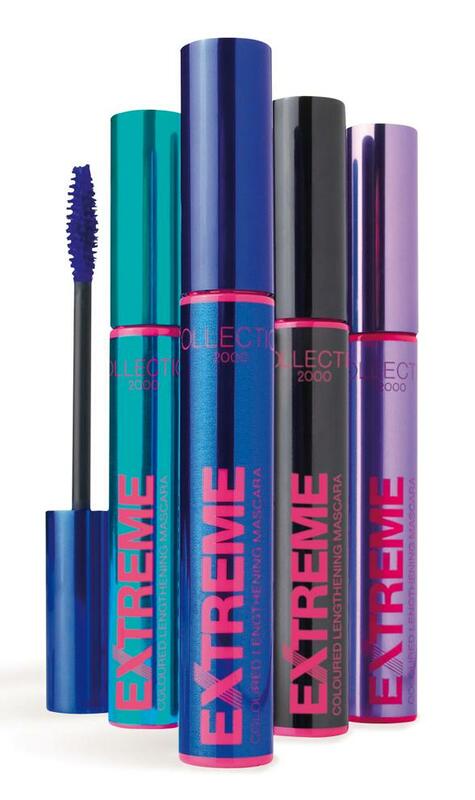 I was really impressed with the result I got with this mascara, my lashes being pretty ‘extreme’ after only three coats – usually I use five or six! The only thing I wasn’t convinced on was the formula – it seemed a little dry, meaning it wasn’t as easy to apply and I could imagine it getting clumpy if you applied too much. This also means I’m not sure how long it would last in your make-up bag…. but for three quid you can’t complain either way. The packaging is super cool, brightly coloured and coordinated to the colour of the product. The tube is shiny and metallic so it definitely stands out and is a real statement piece. It’s also not what you’d expect from a cheaper brand that historically has focused on plain designs and colours. The mascara shade itself is a lovely lilac-purple, not too dark so you can’t tell it’s a colour and not too light so it looks like you’ve got no lashes. I really like the result and even got a few comments today in the office! Check out my lashes – me likey mucho. Definitely one to stock up on. 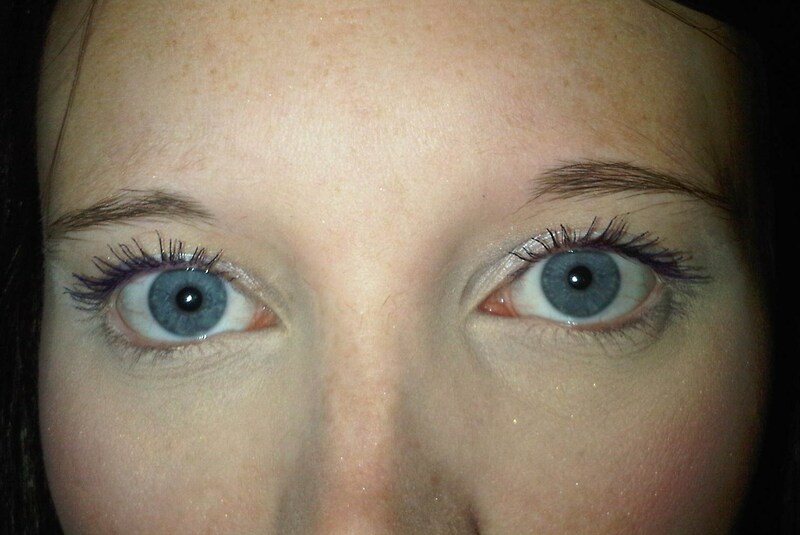 Lashes look lovely…i love trying new mascaras drug store brands suprize me weekly! Will definitly have to give this one a try! I am forever on a quest for new mascara, I have serious mascara issues!